Centrepoint at 4808 Hazel Street is built by Intracorp - Metrotown's tallest highrise residential building built in 2009. 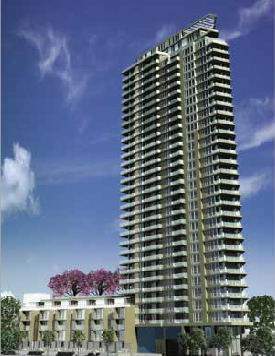 This newest development in Metrotown area features a 35-storey condo highrise as well as some concrete townhomes. Located right across from Metrotown Shopping Centre, Centrepoint offers convenient access to shopping, restaurants, transportation, and recreation. With the latest building technology, Centrepoint brings high standards in security, as well as your living comfort. Views from the suites include Coast mountains, downtown Vancouver, Fraser Valley, Mount Baker and much more.